First board meeting of Weihai Witwin Vacuum Science and Technology Co., Ltd. (WWVSTCO) in 2012 held on Jul 26th. Zhao Shuangjun, CFO of CNAICO and Chairman of WWVSTCO held the meeting. Du Chaoying, Director and Assistant President of CNAICO attended the meeting. Vice President Zhao Haiming as well as the head of Investment Department joined the meeting. During the meeting, CFO Zhao Shuangjun, Vice President Zhao Haiming, Assistant President Du Chaoying visited the vacuum pump manufacturing plant of WWVSTCO. 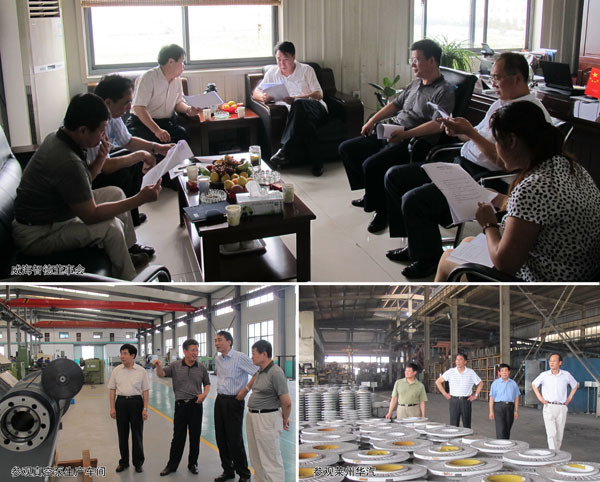 After meeting, on Sep. 27th, Zhao Shuangjun visited Laizhou Capco Machinery Co., Ltd., and had a talk with Han Guoqiang, Vice President and General Manager of CAPCO.